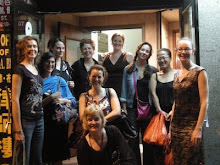 We raised close to $1,200 for the Park Slope Women's Shelter! Last Friday, our Mice at Play charity event was a big success! Thanks to your generosity, we were able to raise $1160. We had set the bar at $600, and so, BRAVO, Mice for having well-exceeded what was already a lofty goal. The total amount collected will go to the CAMBA organization which manages the Park Slope Women's Shelter. Our original idea had been to pay for the Thanksgiving feast at the Shelter. But, we hope you will be as proud as we are to learn that our donation has the ability to do even more! Shawn Young, the Shelter Director told us it could pay for two projects that will have a greater and long lasting impact. First, we will buy Move-Out Kits for the women who are about to settle into their own apartments. The kits will empower women to start their new life, and ease what is otherwise a scary transition. Due to recent city budget cuts, the Shelter has not been able to continue to afford the kits. We will help bridge that gap. Second, Shawn noted "even though a shelter is a temporary home, it doesn't have to be sterile." He believes that creativity is a great healer. He, therefore, proposed that we create two beautiful murals for the Shelter, side-by-side with the women who live there. If there are Mice who are interested in participating in the creation of the mural in either an advisory or artistic role, please let us know. Jacinta's delicious Barm Brack cake recipe can be found on her great website: www.thelookotheirish.com. Look for the posting: Irish Barm Brack: Take 2! 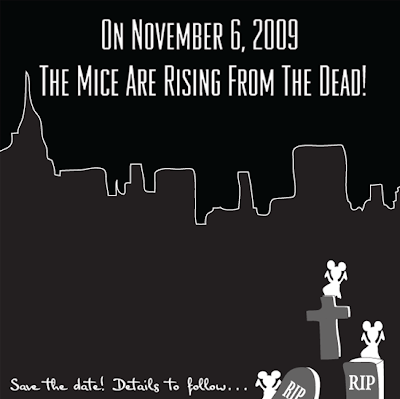 Saturday, October 24, 2009. 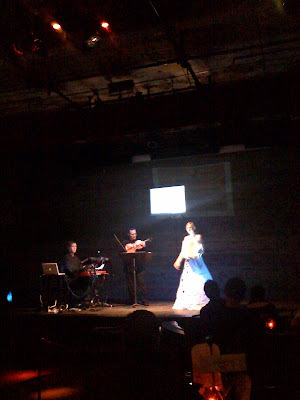 For photos of the night go to the flickr slideshow. For the Joy of Giving! its first benevolent fundraising event! to fund their Thanksgiving Dinner! As Samhain (the Celtic New Year) is nearly upon us, it provides the perfect excuse for us to commune with the spirits... and each other. Samhain is traditionally the time when the veil between the worlds of the dead and living is the thinnest. This ancient celebration of gathering and rituals also coincides with November, the month of giving. This night, the spirits will be with us to share their wisdom, offer their protection, and welcome our generosity towards our larger community. 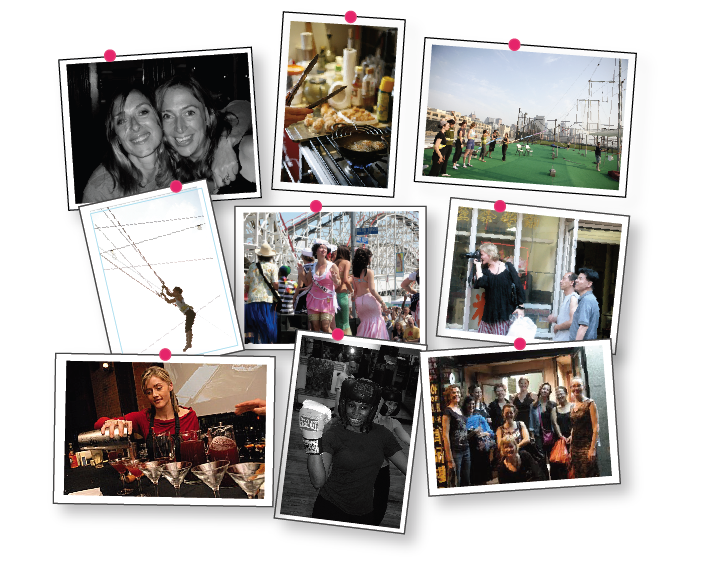 Meet amazing women who share the same eagerness for exciting experiences and challenges. 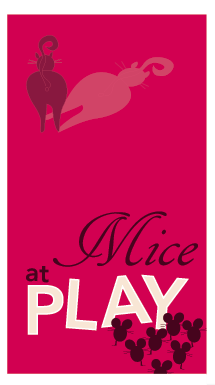 Learn about our new calendar of creative events for Mice at Play 2009/2010! But that’s not all! 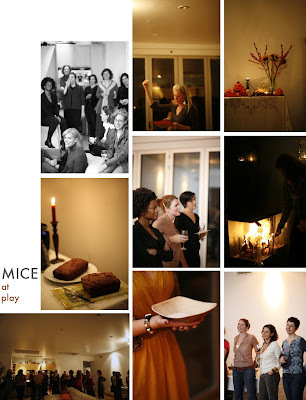 On November 6th you will also experience the joy of giving by helping Mice at Play raise money to fund the Park Slope Women’s Shelter's Thanksgiving Dinner. What do you need to do? You simply need to show up at the party with your contribution in a red envelope (suggested donation: $15) and enjoy the night! 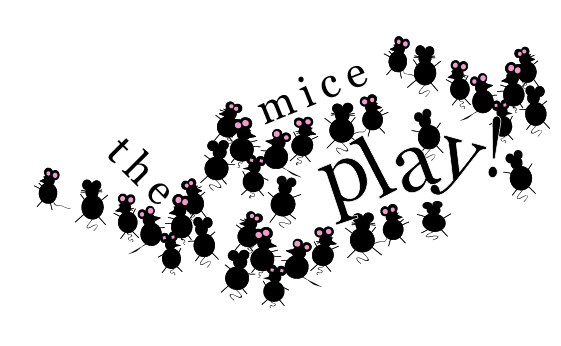 Mice, we need your help to make this fundraiser a success. Bring a friend or three—friends as special as you! The only requirement for new Mice is that they possess an enthusiasm for new things and compassion and generosity towards their fellow Mice. PS: Don’t let babysitting problems stand in your way—we can provide the best sitters in town! PPS: As a bonus, if you wish to know about your "Shadow Self," Cathy will ask you to pick a Tarot card from a deck that she will read for you. You may give her a token of your appreciation at your discretion. Arrive between 8:30-9pm, but not a moment later or you might be greeted by a bolted door! RSVP at miceatplay@gmail or call Sara at (917) 855-8623. 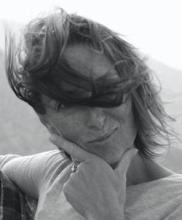 Cathy Towle is an international business and life coach, healer, and intuitive. She works with individuals and businesses to help them create balance, establish purpose and access their intuition. Dedicated to supporting women and their causes, Cathy has decided to offer her blessings and perform a Celtic ritual at no expense to the Mice. Megan Elias is Associate Professor of History at Queensborough Community College where she teaches a course in food History as well as various American history courses. Her book, Stir it Up: Home Economics in American Culture, was published in 2008. She is also the author of Food in the United States, 1890-1945. She has a surprising amount to say about sandwiches. Be ready for "La Rentrée"
I am working on an exciting calendar of events for 2009-2010. 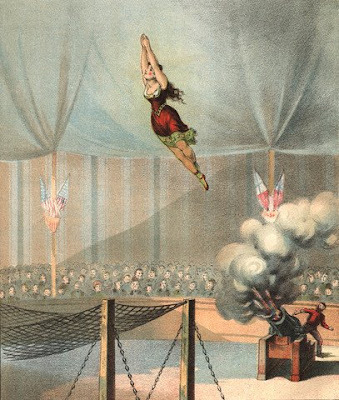 Hold on to your seat... You'll be blown away! 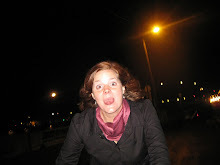 2009, let's cherish our intrepidity and lightness of being! one you like and you are welcome to suggest your ideas. can do it, why not you? the Acting Class with George C. Heslin, an incredible play director. speaking in public, gain confidence, and more. acting class on Sunday, January 25th! Reply to me at: themiceplay@mac.com.